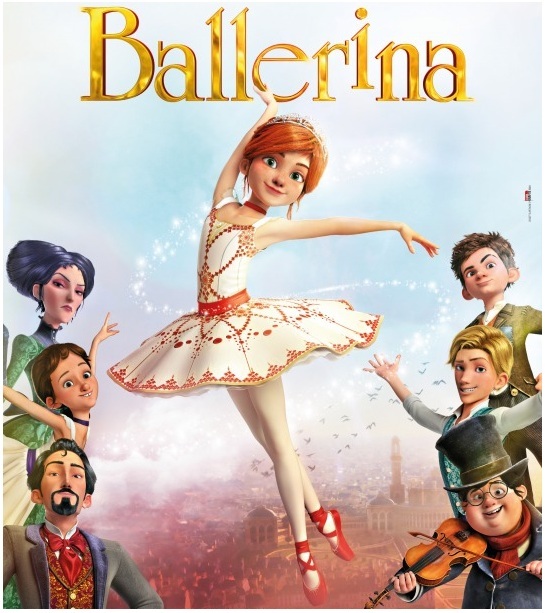 To finish our international movies week, since Hollywood is still sleeping, we're going childish today with delightful new international animated movies! 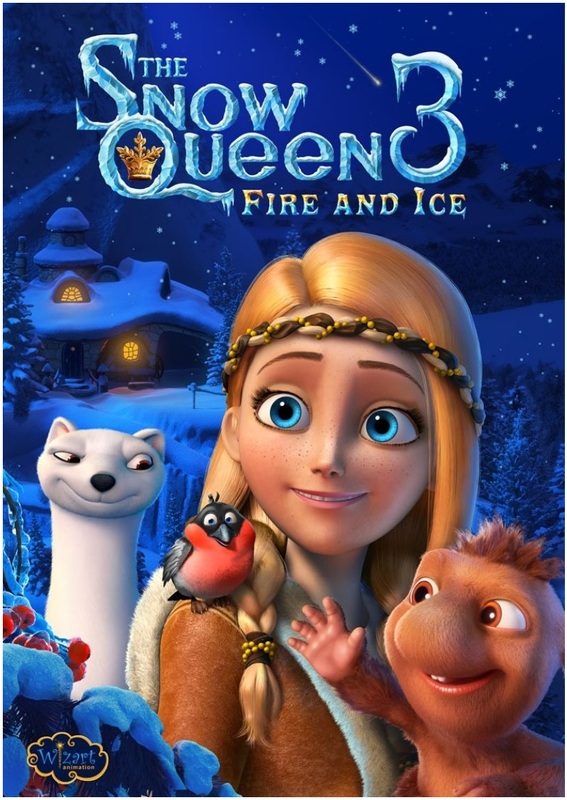 We will begin with the third part of one of Russia's most successful animated movie franchises: SNOW QUEEN 3: FIRE AND ICE which skated into Russian cinemas yesterday to celebrate New Year's Holidays! 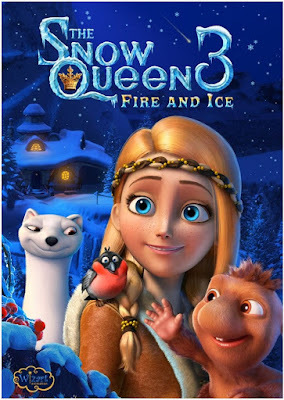 And no, it is not Frozen rip-off since the first movie in the saga premiered in 2012 a year ahead of it. 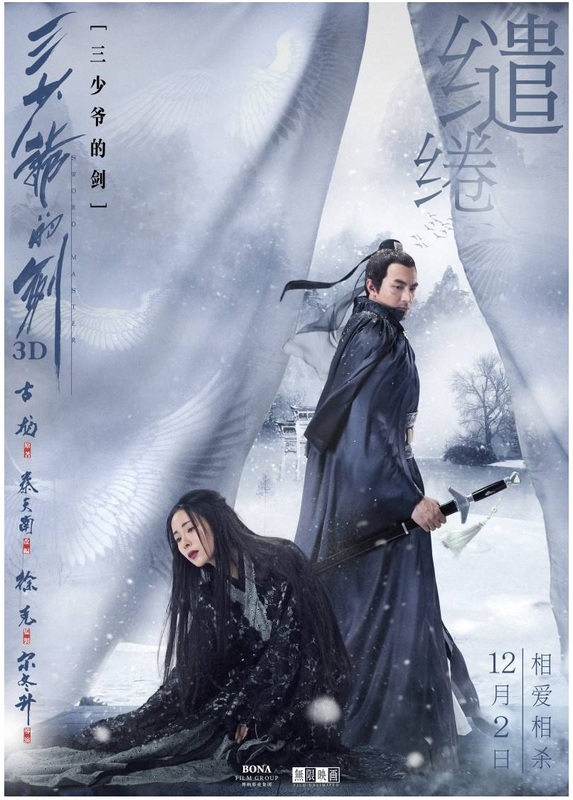 The third part will play in European, Korean and Indian cinemas throughout January. 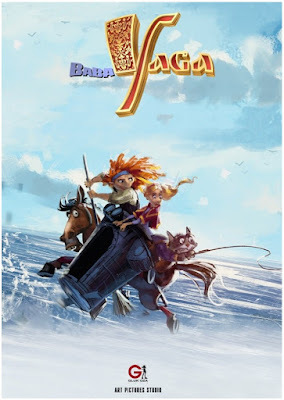 Another Russian animated epic adventure scheduled for next year is BABA YAGA based on famous Slavic fairy tale character but going beyond the traditional image of an old hag who scares little children. 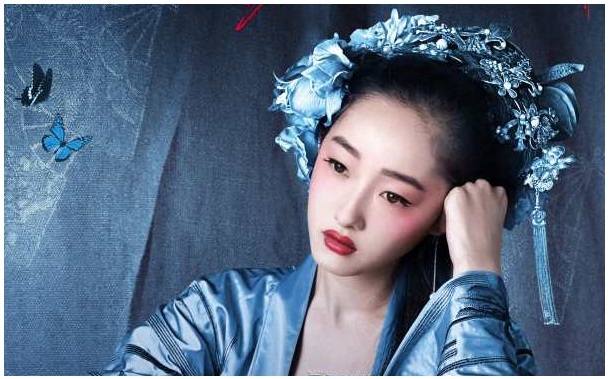 What led the young sorceress Yadviga to turn into the recluse Yaga, living on a swamp in a hut on chicken legs? And what will happen when Princess Sapphire (Sineglazka) accidentally stumbles across Yaga's swamp in her quest to find rejuvenating apples at the world's edge for her evil witch stepmother? BABA YAGA is a colourful and fascinating journey, in which the power of friendship and faith in humanity triumphs over betrayal and evil. 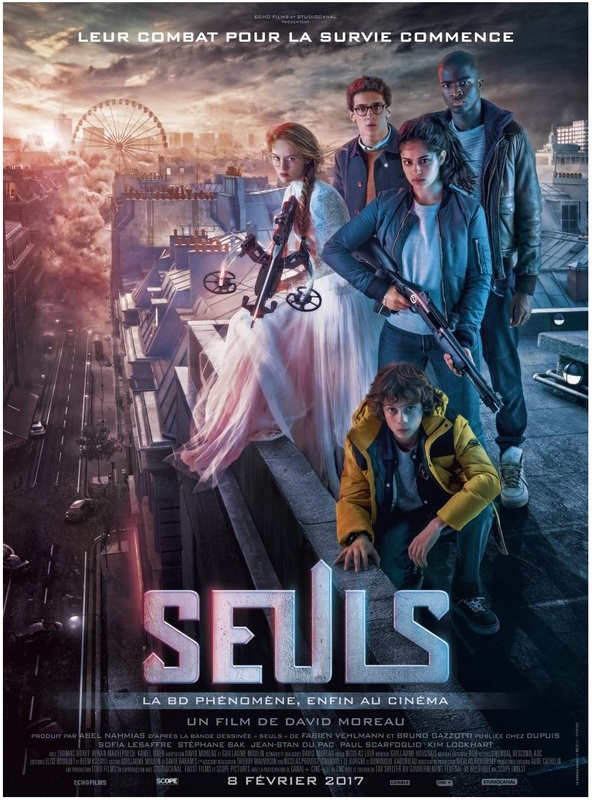 Hollywood is still sleeping, people, which means we're continuing our international movies week, today with two sf movies, starting with a rather stunning poster (thanks to Gold Poster) and a trailer for French apocalyptic action thriller ALONE or SEULS which should arrive into French cinemas next February starring Thomas Doret, Kim Lockhart, Stephane Bak, Paul Scarfoglio in an exciting and spooky story, based on a comic book, about five kids who wake up in a world where everybody has disappeared. ON THE FIRST EVER SPACEWALK! 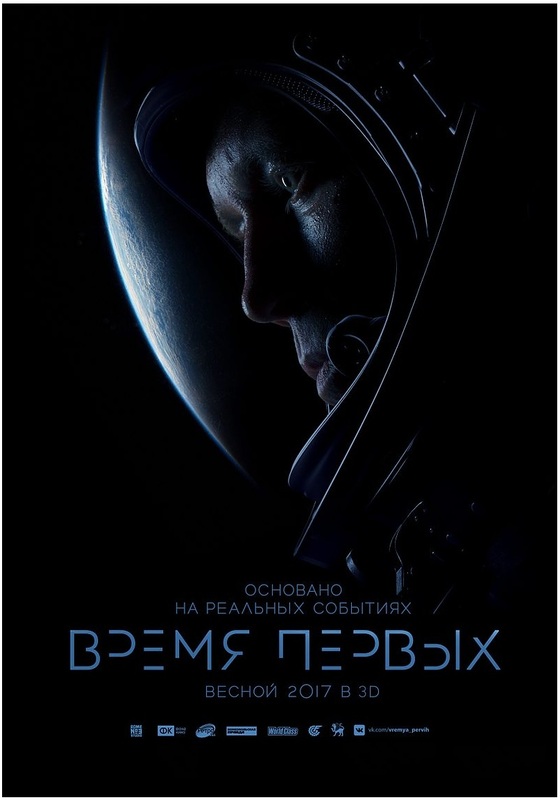 There is also an extremely atmospheric poster and trailer for Russian sf movie TIME OF PIONEERS or VREMYA PERVIH which should arrive into Russian cinemas next April starring Evgeniy Mironov and Konstantin Khabensky in this space biopic set in March 18, 1965, when Russia proved its leading role in the exploration of space with legendary Soviet cosmonaut and hero Alexei Leonov becoming the first person to walk in space and bringing Russia supremacy in space over America. 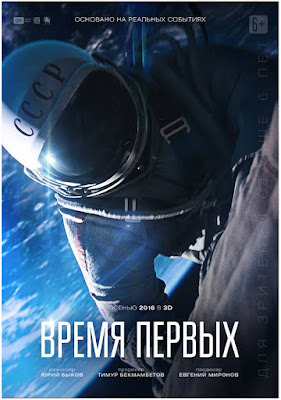 Even though nobody knew what they could encounter during their flight into space, especially since the test ship had exploded only two weeks before their mission, an experienced military pilot Pavel Belyaev and his partner Alexei Leonov, were ready to step into the unknown. 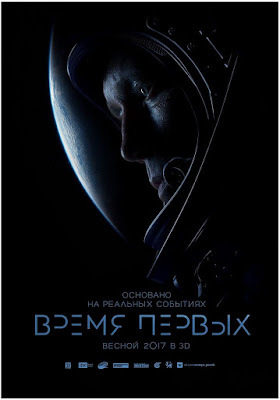 Leonov, who is also an acclaimed painter and writer, was outside the spacecraft for 12 minutes on 18 March 1965, connected to the craft by a tether. 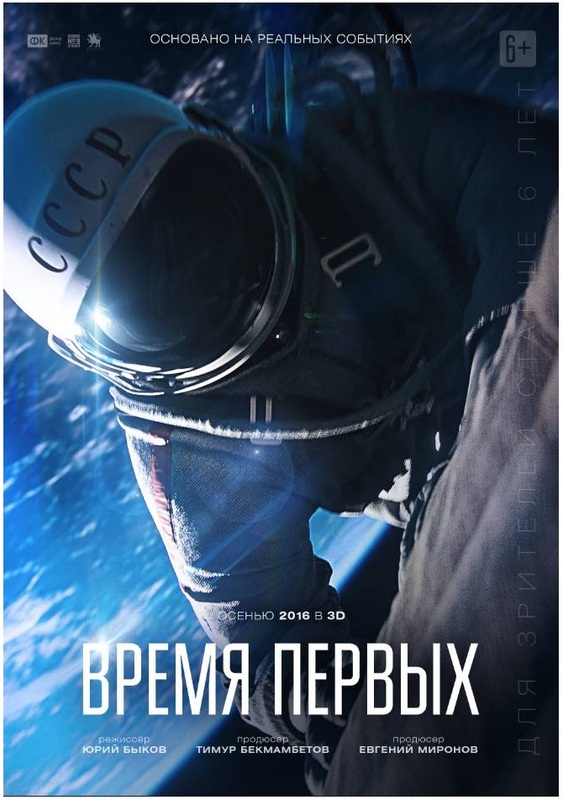 At the end of the space walk, Leonov's spacesuit had inflated in the vacuum of space to the point where he could not re-enter the airlock. He opened a valve to allow some of the suit's pressure to bleed off and was barely able to get back inside the capsule. 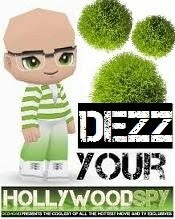 It's new posters day this sleepy postfestive Tuesday with Hollywood still in deep slumber. A rather hot new international poster has been revealed for Michael Fassbender's TRESPASS AGAINST US on which you can admire his rather flawless pecs! To smuggle its way into cinemas from January till March around Europe, UK and USA, TRESPASS AGAINST US also stars Brendan Gleeson as the patriarch of a crime family with our dearest Fassy playing his son who is trying hard to find a way to escape the criminal ways of his outlaw family. 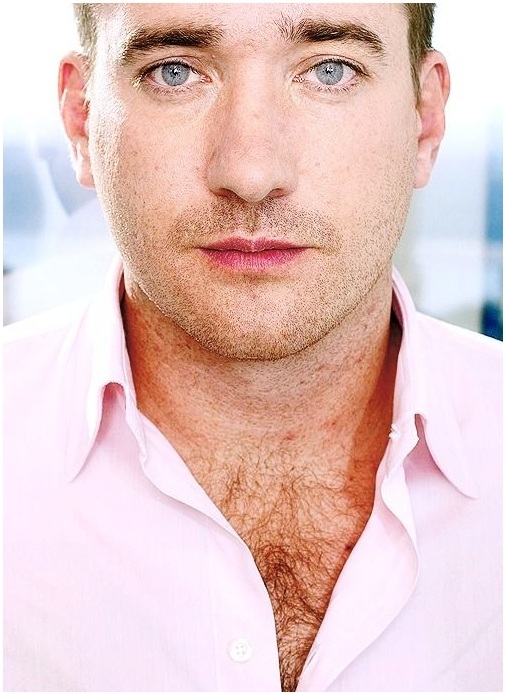 Rory Kinnear, Killian Scott, Sean Harris round up the cast of British and Irish actors. 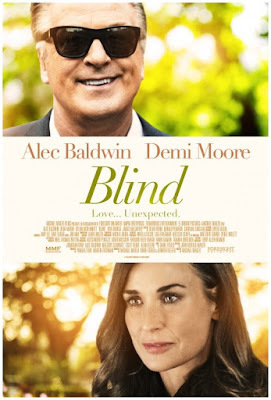 There is also the first poster for the movie which brings us a rather strange combination of Alec Baldwin and Demi Moore alongside Dylan McDermott! BLIND is about bestselling novelist, Bill Oakland who loses his wife and his sight in a vicious car crash. Five years later Socialite Suzanne Dutchman is forced to read to Bill in an intimate room three times a week as a plea bargain for being associated with her husband's insider trading. A passionate affair ensues, forcing them both to question whether or not it's ever too late to find true love. But when Suzanne's husband is let out on a technicality, she is forced to choose between the man she loves and the man she built a life with. 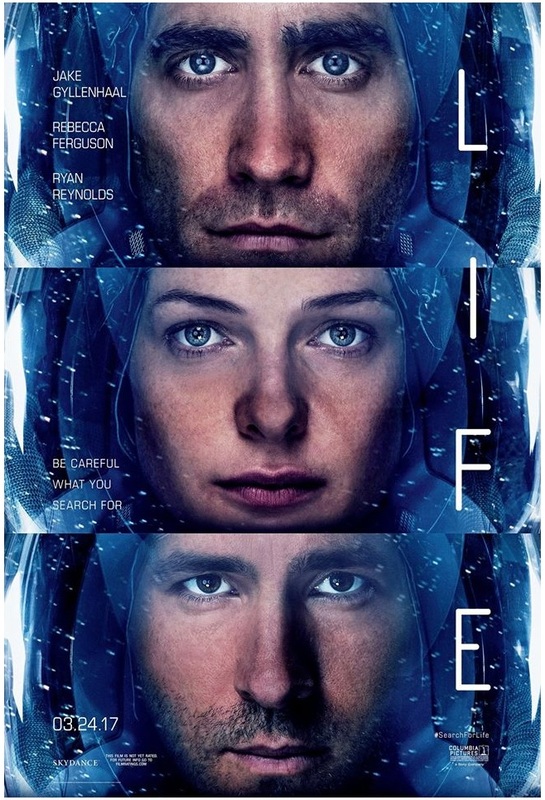 A new one has also been released for science fiction action thriller LIFE which hits European, Russian, UK and USA cinemas next March starring Ryan Reynolds, Rebecca Ferguson and Jake Gyllenhaal as astronauts aboard the space station who study a sample collected from Mars that could provide evidence for extraterrestrial life on the Red Planet. The crew determines that the sample contains a large, single celled organism - the first example of life beyond Earth. But things aren't always what they seem. As the crew begins to conduct research, and their methods end up having unintended consequences, the life form proves more intelligent than anyone ever expected. 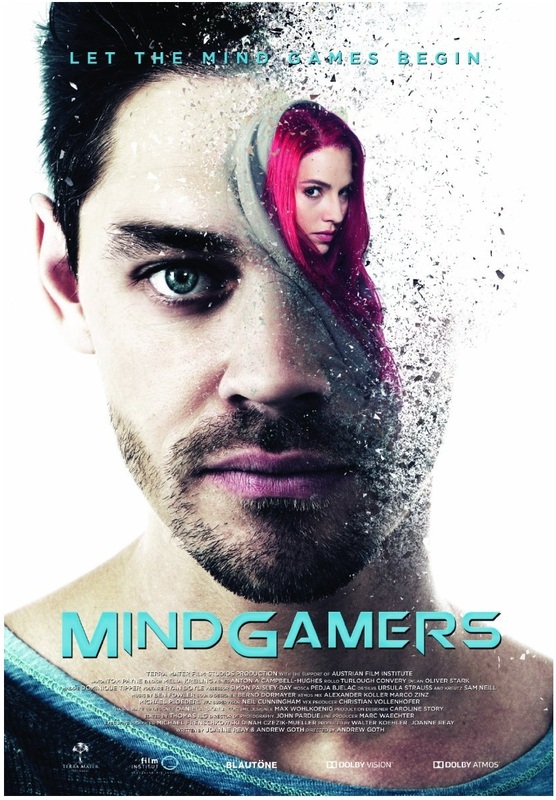 Two trailers for you today, first one for new Sam Neill movie, sf action MINDGAMERS also starring Tom Payne. Out next March it follows a group of students who discover the greatest scientific breakthrough of all time: a wireless neural network, connected via a quantum computer, capable of linking the minds of each and every one of us. They realise that quantum theory can be used to transfer motor skills from one brain to another. They freely spread this technology, believing it to be a first step towards a new equality and intellectual freedom. But they soon discover that they themselves are part of a much greater experiment as dark forces emerge that threaten to subvert this technology into a means of mass control. 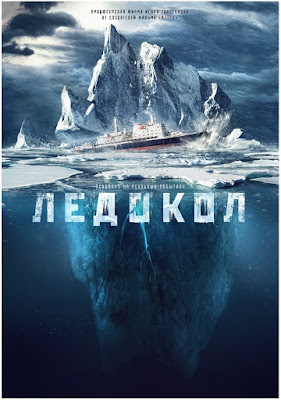 Meanwhile, from frozen Mother Russia comes an exciting trailer for snowy LEDOKOL or ICEBREAKER starring charismatic Russian superstar Pyotr Fyodorov, which is awaiting its wider European release! A huge iceberg is moving towards the icebreaker "Mikhail Gromov"! Trying to escape collision, the ship falls into the ice trap and is forced to drift near the coast of Antarctica. And around it only ominous silence and bitter cold. Fuel is running out... nerves on edge... and even if it was possible to move, there is nowhere to go anyway. The crew of the icebreaker must not make a single error. 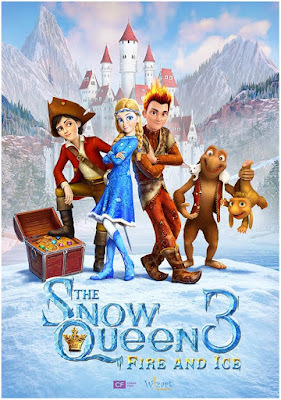 One wrong decision and heavy ice will crush the ship. Before I see you again on Monday, after you, hopefully, spend a lovely and warm festive weekend at your homes and after I wish you a very merry Christmas if you are celebrating, I shall leave you this weekend to feast on our premium spotlight on Pierce Brosnan's new period set television series THE SON with gorgeous new character photos presenting the cast of AMC's historical series which is set to launch its ten episodes sometime next year. Marking the return of ex James Bond Pierce Brosnan to the small screens after his legendary 1980's role in Remington Steele, THE SON is a television adaptation of the book by Philipp Meyer in the form of a multi generational epic tale of the story of America’s birth as a superpower through the bloody rise and fall of one Texas family. 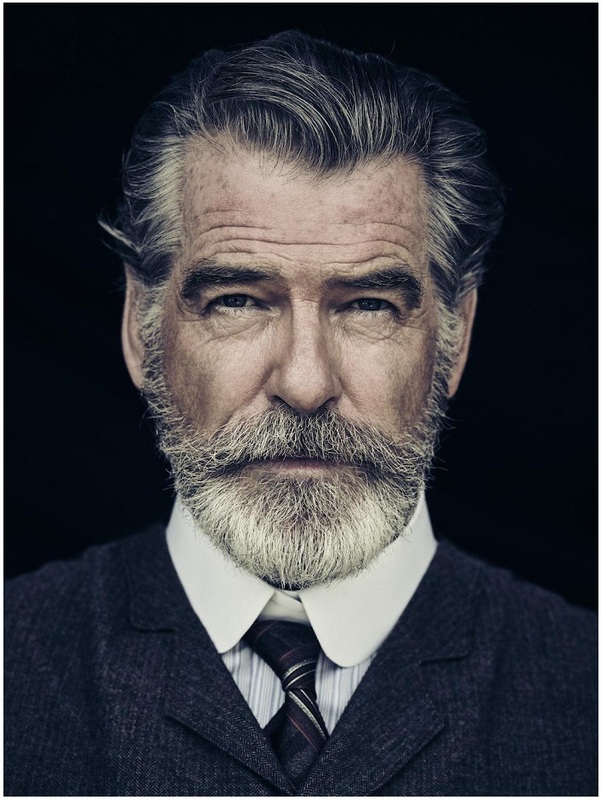 Replacing Sam Neill who was originally supposed to lead the series, Pierce Brosnan plays Eli, the charismatic patriarch of the McCullough family. 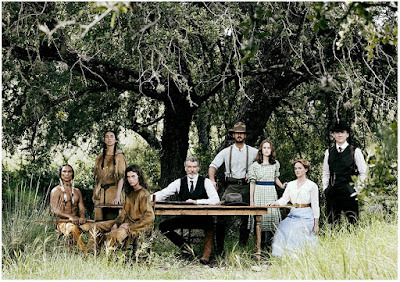 As a child, he was kidnapped and raised among the Comanche Native American tribe and applies the brutal Comanche world view to his business dealings. He was born on the day Texas became an independent Republic, earning the nickname “First Son of Texas” and is a relic of the Wild West, uneasy with the inexorable taming of Texas and the uncertain future of his legacy. Henry Garrett plays Eli’s son Pete who’s struggling to make his father proud, while Sydney Lucas plays Eli's granddaughter Jeannie, a tomboy unwilling to accept an existence of childbearing and marrying well. 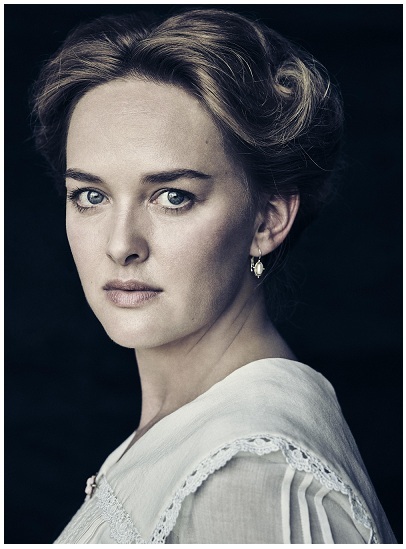 Jess Weixler will play Sally, Pete’s tough, no-nonsense wife. A caring mother who is fiercely protective of her kids, she is searching for fulfilment while trying to keep her marriage together. 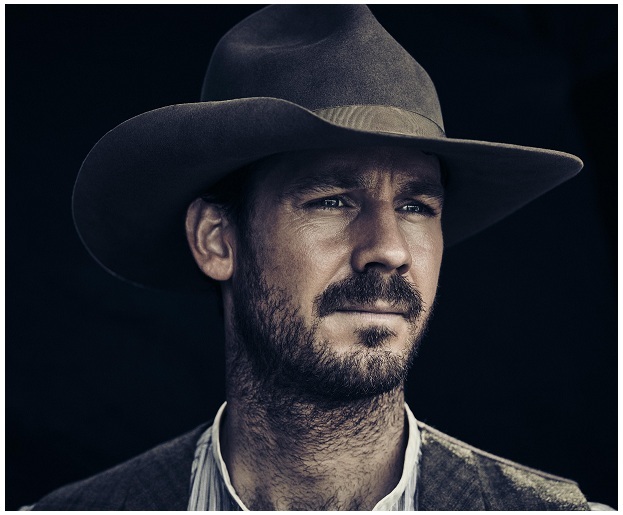 David Wilson Barnes plays Eli's oldest son Phineas who never had a taste for ranch life. 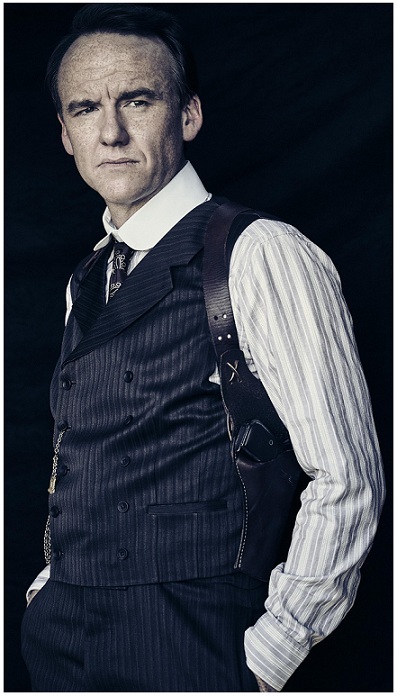 Nick Stevenson is Fred Bernhauer, a handsome, powerful businessman interested in the oil prospects of the McCulloughs. 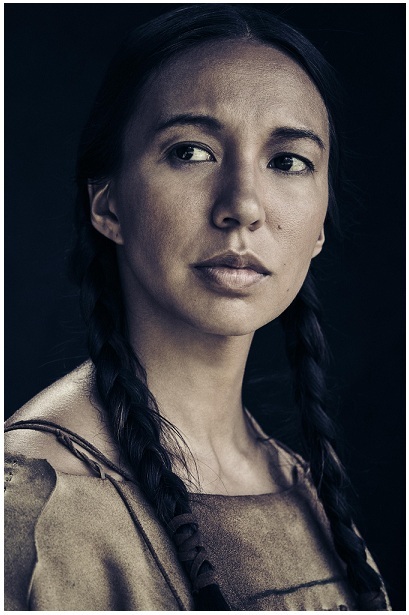 Elizabeth Frances will portray Prairie Flower, a member of the Comanche tribe and Eli’s first love. 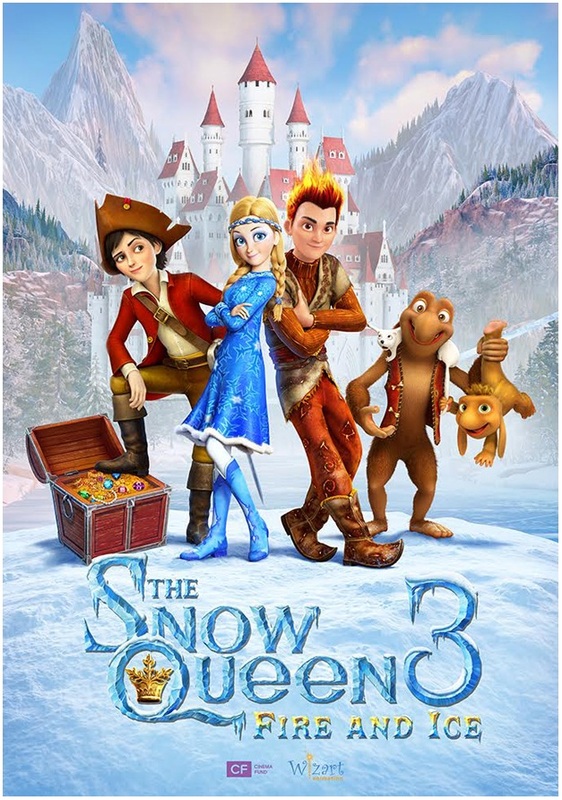 At first, she sees Eli as nothing more than a slave, but once he is fully integrated into the tribe, she is the first to notice there is something more to him. Carlos Bardem plays the patriarch whose family is the last of the wealthy Spanish aristocracy in South Texas. Paola Nunez plays his daughter Maria who gets close to Pete over the course of the series. 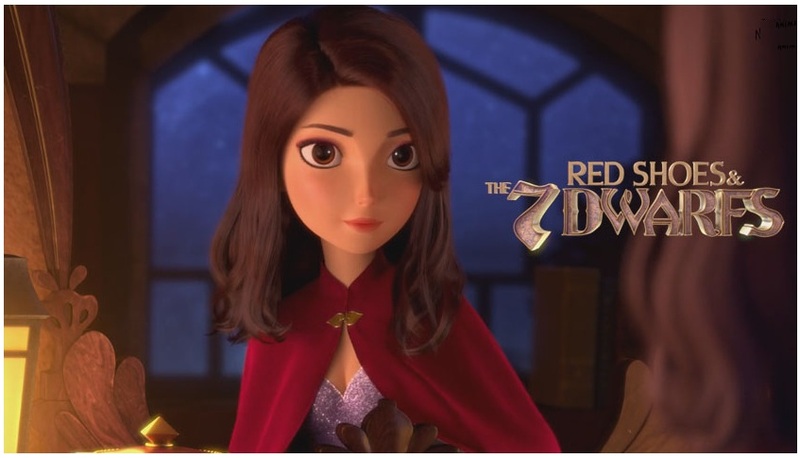 The opening episode is directed by War and Peace director Tom Harper. 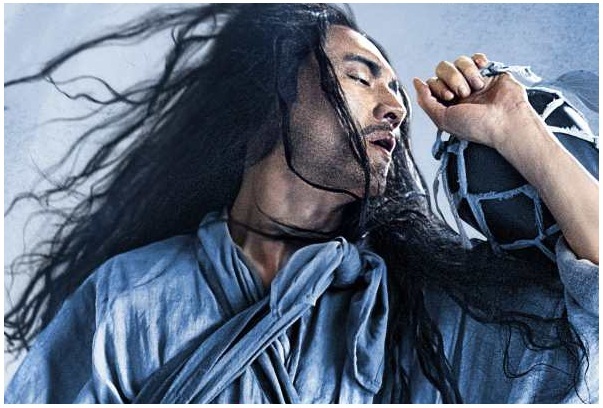 NEW 16TH CENTURY SERIES FROM POLDARK PRODUCERS? 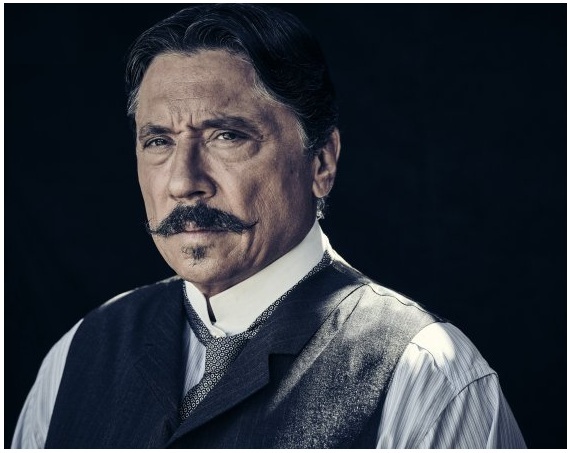 Now, here's an early Christmas present for you: following the success of Poldark and Victoria, Mammoth Screen now apparently wants to turn another period set novel series into a TV show! 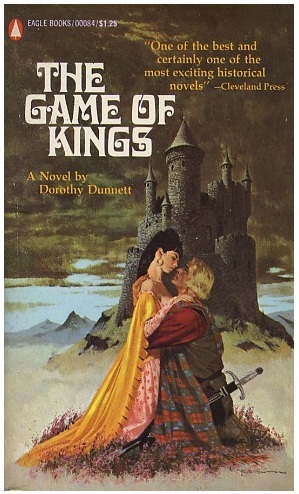 They've bought rights on THE LYMOND CHRONICLES Dorothy Dunnett’s historical adventures set across Europe in the mid 16th century and are now searching for a broadcaster! 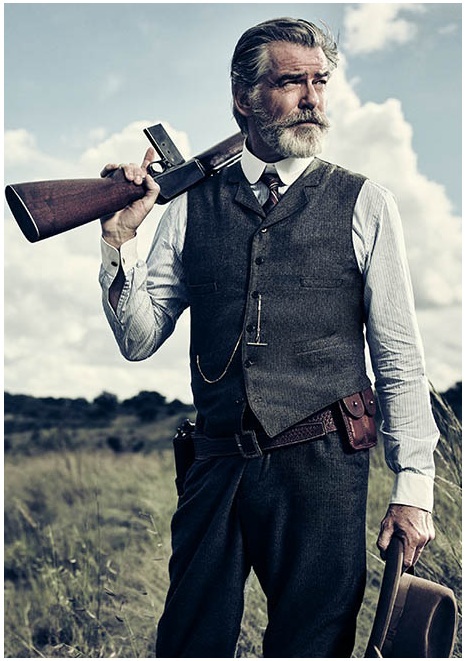 As Radio Times reports, packed with incident and an array of characters, these novels follow a charismatic Scottish nobleman Francis Crawford of Lymond, a charismatic and arrogant outlaw desperate to prove his innocence and restore his name. Poldark will, meanwhile, return with its 3rd season probably already this spring. And to stay in the prefestive spirit, something for the kids: new animated movie BALERINA which will bring its important message Never give up on your dreams to the cinemas around Europe from December all the way till February. 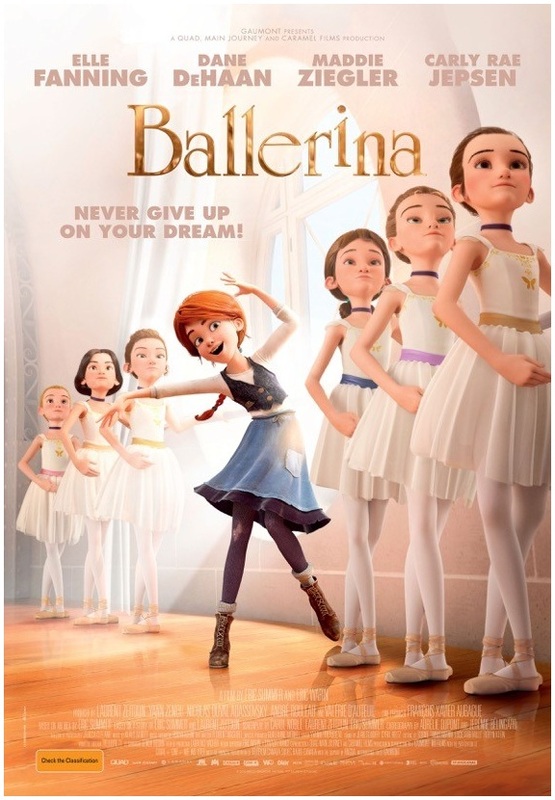 A very expensive French animated movie, which apparently cost $30 million to make, features voices of Elle Fanning, Dane DeHaan and Carly Rae Jepsen in the English language cast, with the story following an orphan girl from 1879 who dreams of becoming a ballerina and flees her rural Brittany for Paris! Once she gets there she passes for someone else and accedes to the position of pupil at the Grand Opera house. I informed you last month that Legendary has bought movie rights on Frank Herbert's sf classic DUNE and now it got Denis Villeneuve for director! He already helmed Arrival sf movie this year and new Blade Runner. 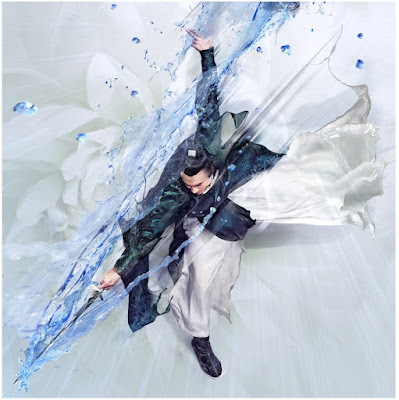 Planned as a movie franchise DUNE is set in the far future with humanity, having spread beyond Earth to countless other worlds, now ruled over by competing feudal families who control access to a drug called Melange. Known popularly as “spice,” the drug gives its users heightened consciousness and an extended lifespan at the cost of crippling addiction and fatal withdrawal. Spice, use of which makes interstellar travel possible, is found only on the desert planet of Arrakis or Dune ruled by the family of Atreides and as such is the most valuable commodity in the galaxy. The first teaser trailer has been released today for the adaptation of David Grann's book THE LOST CITY OF Z which describes real events, about British explorer Percy Fawcett (Charlie Hunnam) who made several attempts to find an ancient lost city in the Amazon and finally disappeared in 1925 along with his son in the search for the city. 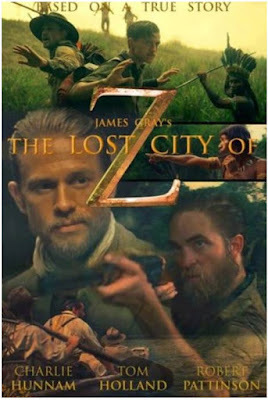 Beside Charlie Hunnam as Colonel Fawcett, the movie also stars Robert Pattinson as his fellow explorer Henry Costin and Sienna Miller as his wife Nina Fawcett! Angus MacFadyen and Tom Holland are also in the cast in the Brad Pitt produced movie which is scheduled to find its way into cinemas around the world some time next April. Just some sf news for you, beginning with the new cast addition for the TV series remake of LOST IN SPACE: Ignacio Serricchio has joined Toby Stephens who plays the father of the Robinson family, which is forced to come together in a time of crisis. Stranded light years from their intended destination, they find themselves battling a strange new alien environment and also their own personal demons. Ignacio will be Don West, a roughneck smuggling luxury goods on the side who finds in the Robinsons the family he never thought he would find. Meanwhile, Mr. Robot creator Sam Esmail will turn Fritz Lang's 1927 sf classic METROPOLIS into a mini series! With $10 million per episode, it will follow a future society where wealthy industrialists rule the vast city from high rise complexes, while a lower class of underground dwelling workers toil to operate the machines that provide its power. Risking everything they know, two star crossed lovers from opposite sides of the divide must find a way to bring down the whole system. 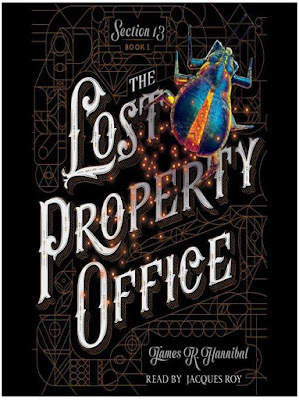 Sony has bought the movie rights on fantasy YA novel from James R. Hannibal THE LOST PROPERTY OFFICE published last month which follows a teen named Jack Buckles, who, uncanny at locating missing things, tests his mettle and searches for his father, who disappeared in London without a trace. He ultimately uncovers that the old man wasn’t who he claimed to be. He was a member of The “Lost Property Office”, a secret magical society of gifted detective “Trackers,” who’ve served the Crown for centuries. Jack’s own membership is his inheritance. He will uncover the great mysteries of London and calamities to come as he tries to bring his father home. To do that he must find what the nefarious Clockmaker is after: the Ember, which holds a secret kept since the Great Fire of London. 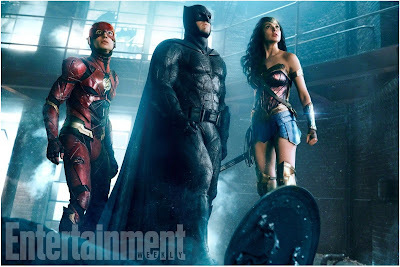 EW has revealed a new photo featuring Gal Gadot's Wonder Woman, Ben Affleck's Batman an Ezra Miller's The Flash whom you've already seen together in the first trailer for JUSTICE LEAGUE movie which should arrive into theatres next November after WONDER WOMAN goes out solo this June. The Flash is also getting his own movie, while Affleck's Batman movie has been pushed again into a far away future. Meanwhile, Netflix has released the first trailer for their new science fiction series TRAVELERS which will bow its 12 episodes globally from December 23rd! 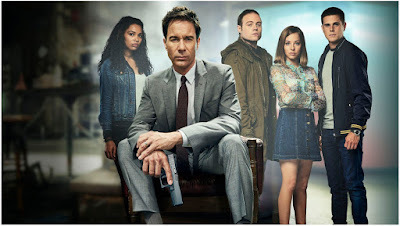 It stars Eric McCormack in the lead role with MacKenzie Porter, Patrick Gilmore, Jared Abrahamson and Reilly Dolman. 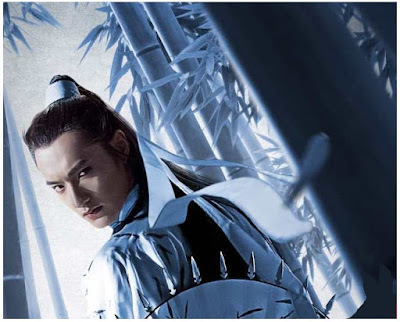 Hundreds of years from now, the last surviving humans discover the means of sending consciousness back through time, directly into people in the 21st century. 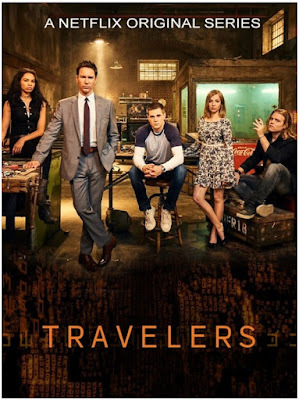 These "travelers" assume the lives of random people at the exact moment that they die (known by the people from the future), then secretly work as teams to perform missions in order to save humanity from a terrible future. 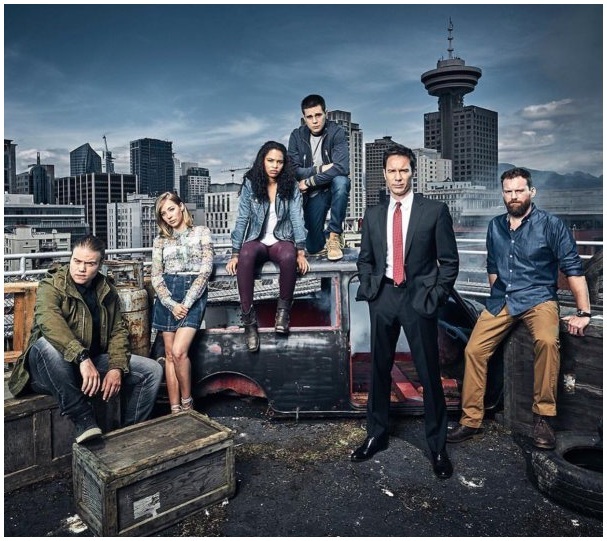 The series is already airing on Showcase in Canada. BBC has finally released a trailer for their December 29th two hours TV drama on Bronte sisters TO WALK INVISIBLE which tells the story behind these three women who, despite the obstacles they faced, came from obscurity to produce some of the greatest novels in the English language. The one-off drama has been both written and directed by Sally Wainwright. 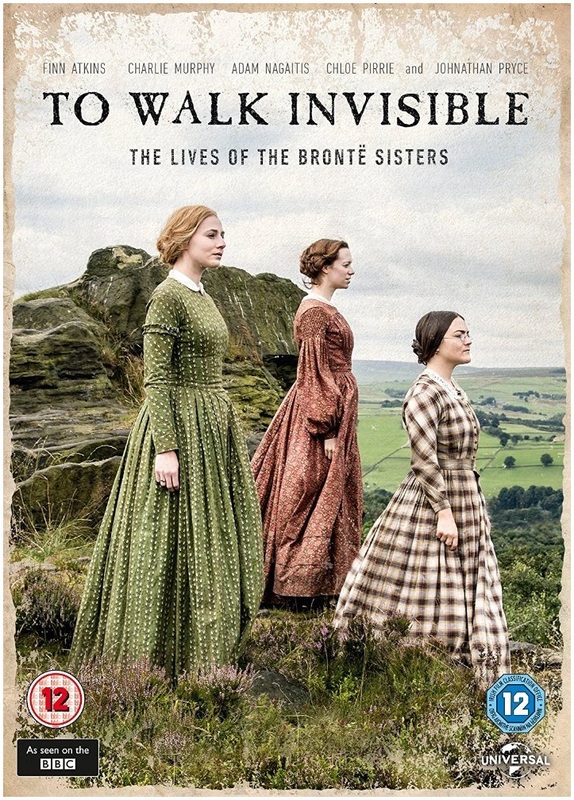 The drama sees Charlotte, Emily and Anne Bronte face a bleak future, with their father half-blind and troubled brother Branwell in decline. As their situation worsens, Charlotte sees that writing could offer a way out. This is the story of the sisters' great novels and their extraordinary battle for recognition. 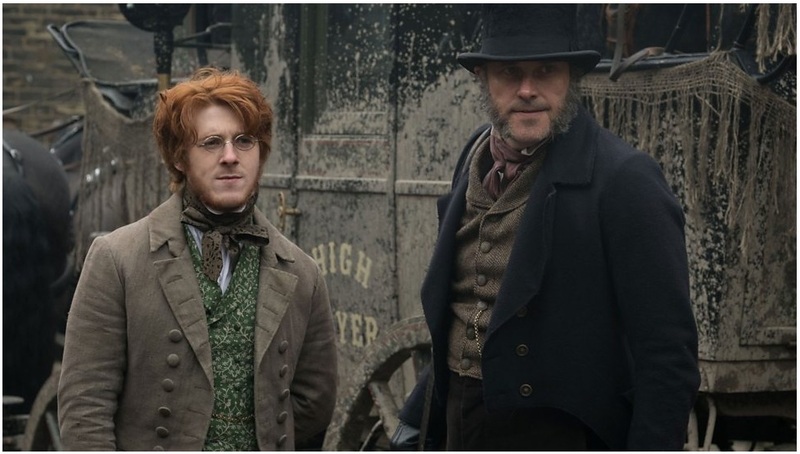 Jonathan Pryce plays the role of the Brontë sisters’ father, Patrick, and is joined by Chloe Pirrie as Wuthering Heights author Emily Brontë. 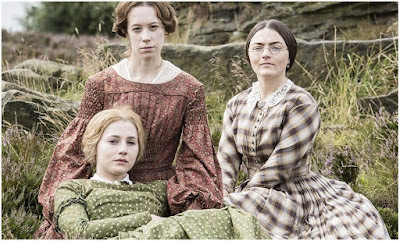 Finn Atkins portrays ambitious older sister Charlotte who wrote Jane Eyre and Charlie Murphy plays the determined, level headed younger sister Anne the author of novels Agnes Grey and The Tenant Of Wildfell Hall. Their reckless brother Branwell, whose destructive behaviour threatened to destroy his family, is played by always great Adam Nagaitis. Young British stars Joe Armstrong and Luke Newberry also star. 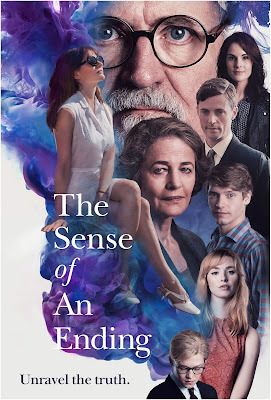 New trailers from movies with senior actors today, for you, beginning with THE SENSE OF AN ENDING with Jim Broadbent and Charlotte Rampling which also has one of the most beautiful posters this year! 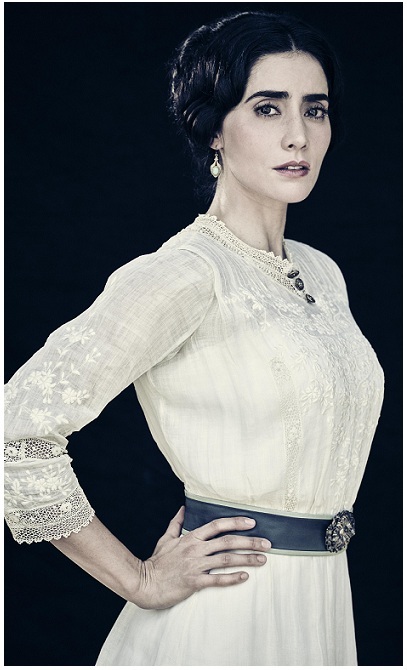 Also starring Matthew Goode, Michelle Dockery and Billy Howle it is out this March. It follows Tony Webster (Broadbent), who leads a reclusive and quiet existence until long buried secrets from his past force him to face the flawed recollections of his younger self, the truth about his first love (Rampling) and the devastating consequences of decisions made a lifetime ago! It is based on a Julian Barnes novel. With a much lighter tone, there is also the first trailer for hilarious comedy GOING IN STYLE which, out this April, stars Michael Caine, Morgan Freeman and Alan Arkin as three seniors, who, living social security check to check and even reduced to eating dog food at times, decide they have had enough. So, they plan to rob a bank... problem is, they don't even know how to handle a gun! 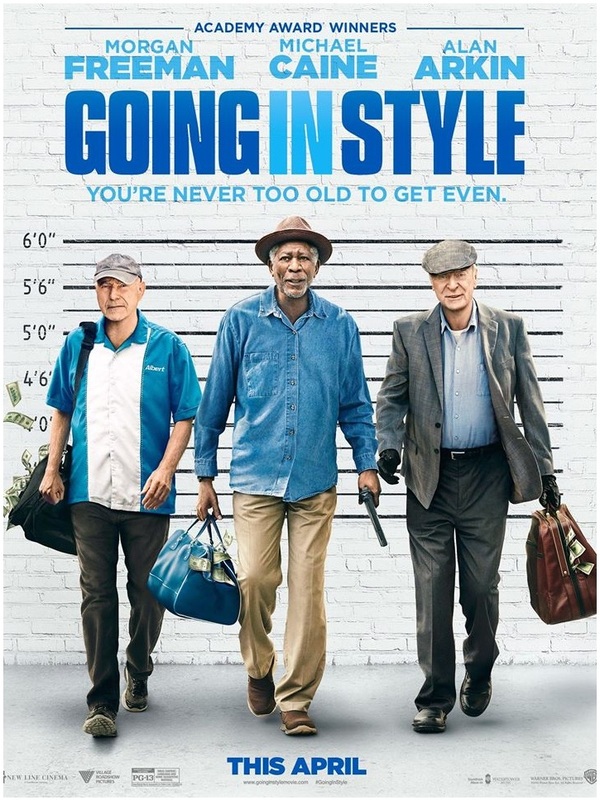 A social commentary on growing old in America and what we are sometimes driven to, due to circumstances also stars Christopher Lloyd, Ann Margret and Matt Dilon. Ladies rejoice: the latest Brit to join the thespian cast of Thomas Edison movie THE CURRENT WAR is Matthew MacFadyen! 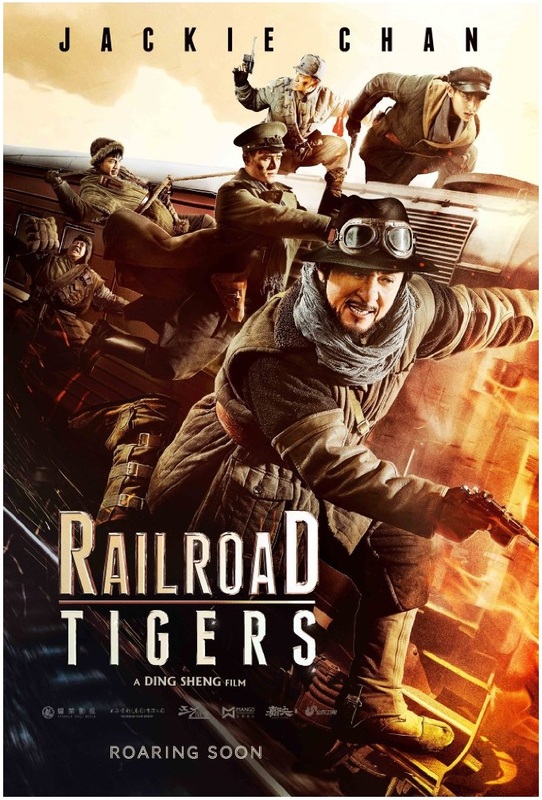 In the film that, set in the late 1880's explains the legendary rivalry between two famous scientists Thomas Edison and George Westinghouse and the race to create a marketable and sustainable electricity system, Benedict Cumberbatch will appear as Thomas Edison alongside Michael Shannon’s George Westinghouse. To start shooting next week, the movie will also see Nicholas Hoult playing legendary Serbian genius Nikola Tesla from whom Edison stole a lot of ideas, with Tom Holland, Typence Middleton and Sienna Miller also in the cast! 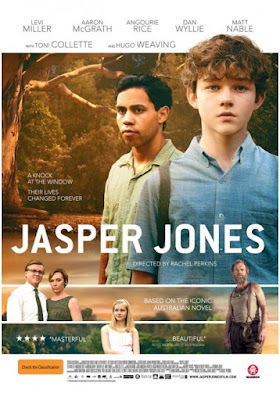 Here's a moving trailer for real life story movie starring Australian thespians Toni Collette and Hugo Weaving JASPER JONES a coming of age story about Charlie Bucktin (Levi Miller), a bookish boy of 14. On the night that Jasper Jones, the town's mixed race outcast shows him the dead body of young Laura Wishart, Charlie's life is changed forever. Entrusted with this secret and believing Jasper to be innocent, Charlie embarks on a dangerous journey to find the true killer. Set over the scorching summer holidays of 1965, Charlie defeats the local racists, faces the breakup of his parents and falls head over heels in love as he discovers what it means to be truly courageous.